GIMP lovers are going to be disappointed to hear that GIMP is going away in the next release of much awaited Ubuntu 10.04. 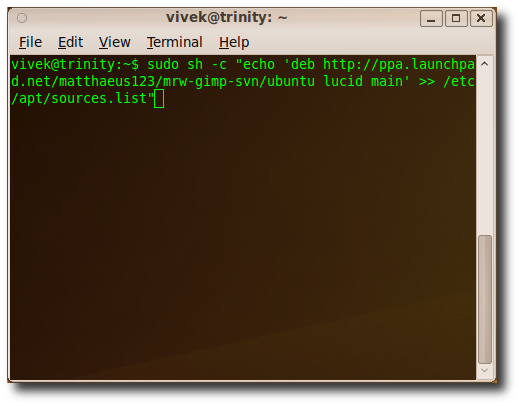 Today we take a look at installing in on Lucid Lynx using PPA. The reason for getting rid of it as cited by the GIMP developers, is that GIMP is too professional a software to be included in regular desktop version of Ubuntu. And it takes up too much of space on the disk. Also, the fact that it’s too complicated for regular users. 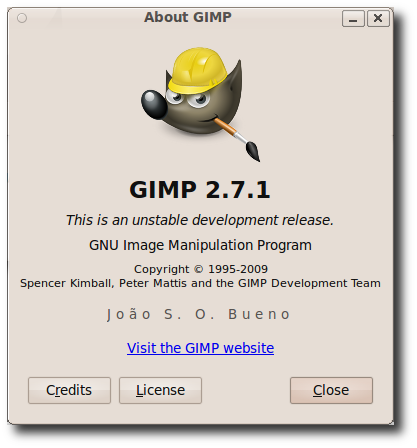 If you can’t live without it…let’s see how to install GIMP 2.7.1 on Lucid Lynx (Currently in Alpha). The new version of GIMP supports single window mode and we will also see how to enable this feature as well. Now that we have added the PPA we need to add the GPG key, so type the following in your Terminal window. 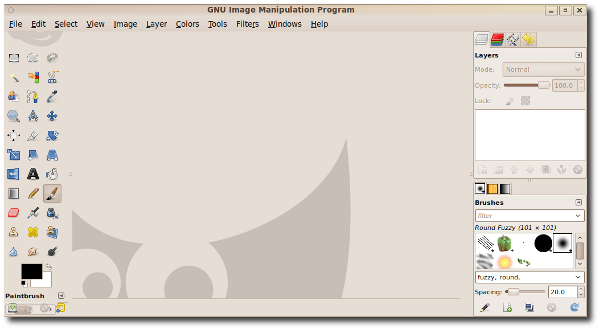 Once GIMP is installed you can start it by going to Applications > Graphics > GNU Image Manipulation Program. You now have your favorite GIMP on your favorite Ubuntu 10.04. 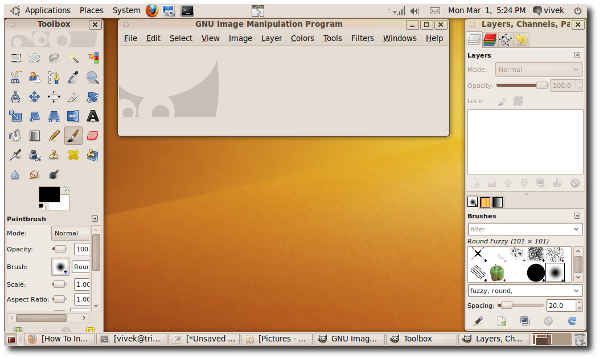 As you can see in the image below, GIMP still comes with default 3 windows, which could clog up your lower panel In Ubuntu 10.04. 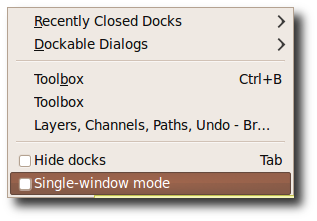 However, now you can run GIMP in single window mode by going to Windows > Single-Window mode. That’s all! Now you have your GIMP running in single window mode with less of hassle to manage 3 windows. It’s unfortunate that GIMP will not be included, but by following these instructions, you’ll be able to enjoy using it in Ubuntu 10.04.